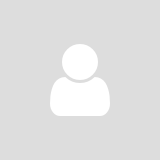 This guide is going to look at the different types of lawn mowers available, as well as what you need to consider when choosing the best lawn mower for your yard. What are the Main Things to Consider? There are several questions you should ask yourself before setting your mind on any one mower. Below are five of the most important questions to think about before purchasing your next mower. How large is your lawn? What obstacles do you have to navigate? Who is the intended user? What types of terrain will you be using it for? What type of area do you live in? If you live on a block with a thick, fast-growing lawn, then choosing a mower with the power and endurance of a petrol engine and a large cutting deck will make quick work of the toughest grasses and foliage. A battery powered lawn mower may be more convenient for a smaller block in the suburbs. Battery-powered lawn mowers are much quieter, produce no direct emissions to the operator and are easy to start while requiring minimal maintenance. If you have limited mobility or strength, then you may also appreciate a self-propelled mower. And for those who dread the thought of mowing the lawn at all, or just don’t have the time, then a modern robotic mower may be a better way to a better lawn. What are the Best Types of Lawn Mowers Available? Now you have a better understanding of how each circumstance can impact your choice of lawn mower, it is now time to take a closer look at five of the main types available. These are the predecessors to all modern day lawn mowers and are still a popular choice among those with smaller lawns. The push reel mower is powered by good old fashioned elbow grease, whereby pushing the mower turns the wheels, which in turn powers the blades. These types of lawn mower are almost silent in operation, but they do require a high level of exertion to be used. Being a basic lawn mower means it does not come with many additional features and it can only work as hard as you do. For small, level lawns or courtyards, this may be a perfect choice. Electric lawn mowers were a popular choice with home gardeners 20 years ago due to their lightweight nature, relatively quiet operation, and sufficient power for smaller lawns. And while this type of lawn mower was among the cheapest to purchase, it had one major downside, which is the inclusion of a power cable. For smaller yards without obstacles, it was an easy choice. However, for larger lawns and those with obstacles, you’ll find the cable limiting and cumbersome. Electric lawn mowers have since been superseded in recent years, with the introduction of lithium battery technology, bringing a new breed of 36V lithium battery lawn mowers. 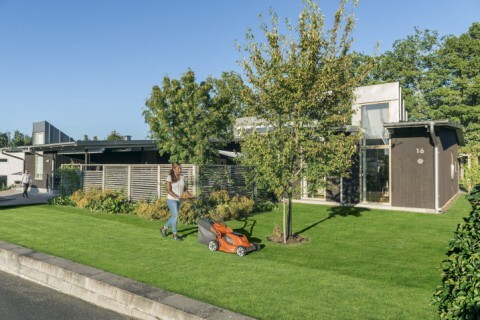 With the power and performance of a petrol lawn mower, and the convenience of lithium-ion battery technology, a battery-powered mower will set the benchmark in terms of ease-of-use, freedom and manoeuvrability. Battery lawn mowers are very quiet and extremely light-weight. Produce no direct emissions or exhaust fumes to the operator, and offer a longer run-time. For homeowners with small to medium yards with softer grasses, or professionals who need a productive solution for smaller, hard to access yards, a battery powered lawn mower is a perfect choice. Petrol lawn mowers are a staple in garden sheds all around Australia and provide a powerful and cable-free approach to optimal lawn care. Quality models are easy to start, are self-driven, include anti-vibration technology, and are powerful and fuel efficient. Quality lawn mowers often have larger cutting decks thanks to their high-torque motors. Petrol lawn mowers provide perfect grass cutting on even the toughest types of grass, so if you have a large property to tackle, or don’t want to worry about charging batteries, then a petrol mower will be a great choice. If you like a well-maintained lawn but have a busy schedule or want to free up more time to spend in the garden, then a robotic lawn mower could be your new best friend. Once the boundary wire is installed, robotic lawn mowers work on a schedule of your choosing, day or night, rain, hail or shine, cutting small amounts of grass with every pass, while mulching your grass and putting nutrients back into the ground. With over 25 years of innovation packed into today’s leading robotic mowers, these best suit property owners who are looking for a mower that will navigate the yard on its own, avoid obstacles, cut all pre-programmed areas with ease, and put itself back on charge afterwards, with next to no input from you. Find out more about our range of lawn mowers here.